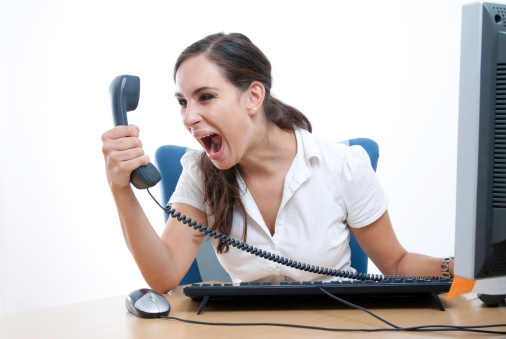 According to a report from Leap Job, only about 2% of all the calls you’re making result in an appointment. So most people read about a report like that and they automatically put another nail in the cold call’s coffin. Instead, why don’t we explore WHY 98% of your cold calls are basically useless! 1) Because many people just aren’t picking up their phone anymore. So what do most sales reps do? They figure that means they just need to make MORE calls. Instead, I would suggest that you have . . .
– A plan to use other forms of outreach, working together in support of your phone efforts. – A plan to partner with, instead of trying to plow through that person you refer to as “the gatekeeper. – A Plan to increase the probability of someone picking up their phone. 2) You didn’t research properly. There are many reps that are so busy “smiling and dialing” that they miss valuable clues (that can be found with a simple click of the mouse and a few short minutes of research). – A really bad, typical and “me too” opening statement when you actually DO get someone on the phone. – Limits your ability to ask cool questions that could have engaged the other person. 3) Your opening statement sucked! – It was about YOU and not them. – It demonstrated that you did zero research. – It was full of “me too” cliched phrases like “we’re a full service” “one source” “end to end” “comprehensive”. – It was void of EVIDENCE like facts, statistics, studies etc. – There wasn’t a compelling reason to grant you the appointment. -It sounded robotic and scripted. 4) Your questions were non existent or they were LAME! – Good questions create a dialogue instead of a Sales Pitch. – Great questions lead the other person on the end of the phone on a path of self discovery. – Great questions emotionally turbo charge someone enough to take action, NOW! – Great questions create rapport and credibility. – You didn’t have a good response to typical objections. Meanwhile, shame on you for thinking you’d just “wing it”. – You didn’t practice your responses so they ended up sounding awkward and “scripted”. – You may have answered an objection like a pro but then failed to redirect the conversation back to an appointment. I’m going to stop at 5 reasons because I believe its time for the point. That type of thinking puts the blame on the cold call. 98% of HOW We’re Approaching This Form Of Outreach Is Ineffective? Stop blaming the venue and start working on the part YOU absolutely CAN control. Perhaps YOUR Phone Skills Need A Little Love? “Every session during this course I took away something that I was able to apply that SAME day. I took the tips and started getting through, or using gatekeepers to my advantage, got my voicemails returned and while using the reverse call to action, actually had customers apologizing to ME for missing MY call. By the end of every week, I’d have the recording to go back and listen to again, or at a convenient time for me, so it was easy to keep up week to week. Lastly, you feel like you are the only one of Paul’s students. He does a perfect job of welcoming your questions, encourages you to send him things that you are working on and will give you feedback, and is such a cheerleader for his students. We all know that sales people have a high need for approval, and you WILL get it from Paul. As well as a kick in the you-know-what when necessary. If you e-mail Paul that you tried something new, you will get an e-mail back saying Great job and that’s something we all need to keep on going and to try even harder. Deirdre McArdle, Inside Sales Representative at Specialty Silicone Products, Inc.